Armin, DK9PY will be active again from Jamaica, IOTA NA - 097, 23 May - 2 June 2018, as 6Y6N. He will operate on 160 - 10m CW from 6Y5WJ station. He is planning to parcipicate in WAE DC Contest. Armin Sturm, Am Hinkelstein 12, D-55425 Waldalgesheim, Germany. There are more to the Caribbean Island of Jamaica than the sweet reggae music. Jamaica is situated right in the heart of the Caribbeansea and it is the third largest Island among all the Islands located in Antilles. As at the year 2013, Jamaica has a population of over 2.8 million people, and the country was declared independent from the colonial British rule in the year 1962. With the population of over 2.8 million people, Jamaica has the third largest population of Anglophone people in the Americas. Kingston the largest city in Jamaica and has about 940,000 people residing within it, it is also the capital of the country. The Jamaican nation is being governed by both the parliamentary and monarchy governments, and the indigenous people are often referred to as the “Tainos”, and these are the people who originated from South America around 4000BC. The Spanish and the British colonialists have ruled Jamaica for centuries earlier than independence was given in 1962. Jamaica is sub-divided into 14 parishes and these include; Hanover, Saint Elizabeth, and Saint James. Most people in Jamaica engage in agricultural activities cultivate crops such as Sugar canes, citrus fruits and Bananas. Two main languages are spoken in Jamaica- the Jamaican Patois and the Jamaican English; however the officially recognized language is English. The Patois is a common English-African creole language, and it sometimes sounds similar to the Irish language. Christianity is the most predominant religion in Jamaica by way of about 25% of the people actively involved in it. The Jamaican music culture has a strong global influence and the most music played here are; Dancehall, Ragga, and Reggae. Jamaica remains the third largest Island on the Caribbean, and its climate can be described as Tropical, making it ideal for diverse ecosystems. 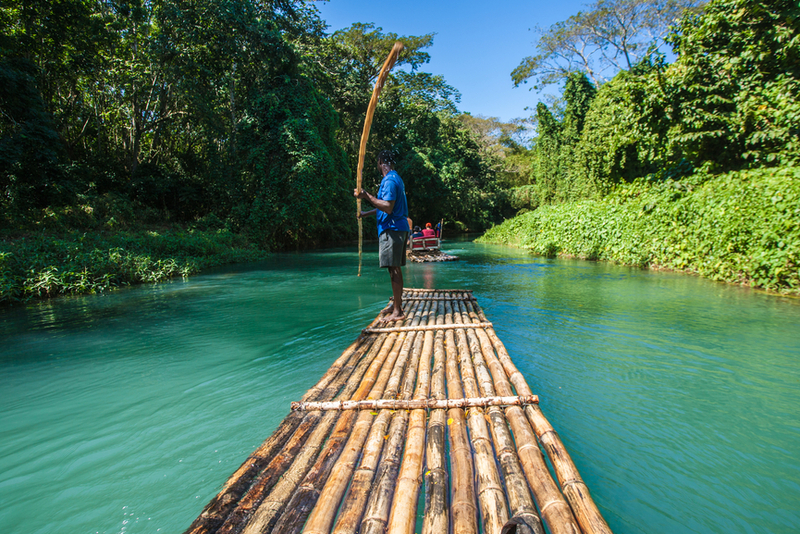 Some areas of Jamaica are characterized by heavy rainfalls all through the year and these regions are notorious for bamboos, Ferns, rosewood and Mahogany. Around the South western region of Jamaica are Cactuses, grasslands and scattered trees. Small mammals such as bats are predominantly found in the rainforest of Jamaica, likewise the large boar, the mongoose, and more than 50 different species of reptiles can be found here. The Jamaican seas are made up of both fresh and salt-water fishes, and the country has rainfall all-year round. Every place you go in Jamaica, you will always feel the Caribbean culture and there are hundreds of things to do on the Island. Some of the best places you can visit in Jamaica include; the Montego bay, Ocho Rios, Negril, Kingston, Port Antonio, and the Runaway Bay. ▪ Montego Bay – the is the best spring-bay party town in Jamaica, and it is most suitable for low-key adventure. 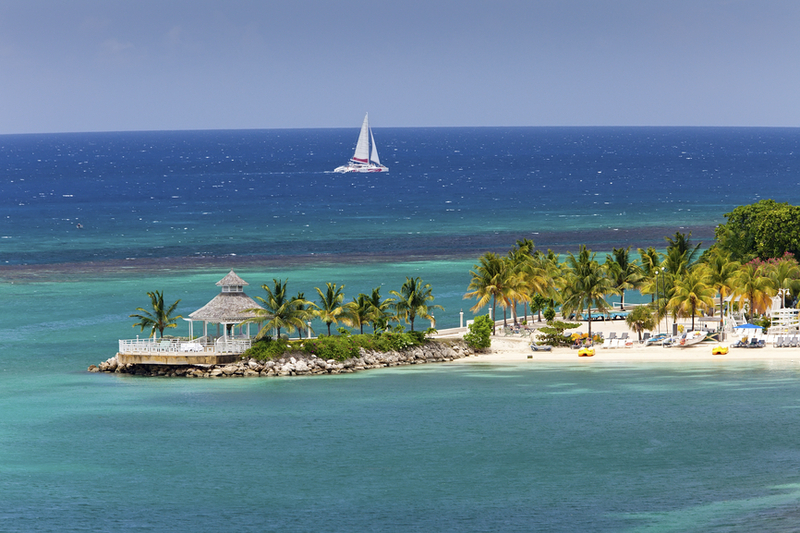 Montego Bay is also popular for its duty-free shopping, snorkeling and lots of night life activities. ▪ Ocho Rios-This is the port of call for most cruise lines in Jamaica. And here you can find the most luxurious resorts and spas on the Caribbean Islands. The abundance of sunshine provides great afternoon sunbathing and in the night, you can get busy with the Reggae music. ▪ Kingston Jamaica is by far the most popular town in the country and it is a city spreading between the Blue Mountains and the east coast. This city is also characterized by the wealthy Northern suburbs as well as the less affluent suburbs in the south, and Kingston is the place where the famous Bob Marley museum is located. The Devon house is another place you can visit in Kingston and here you can savour the rich taste of some finest ice cream. ▪ Negril is a region of Jamaica notorious for wild animal watching. 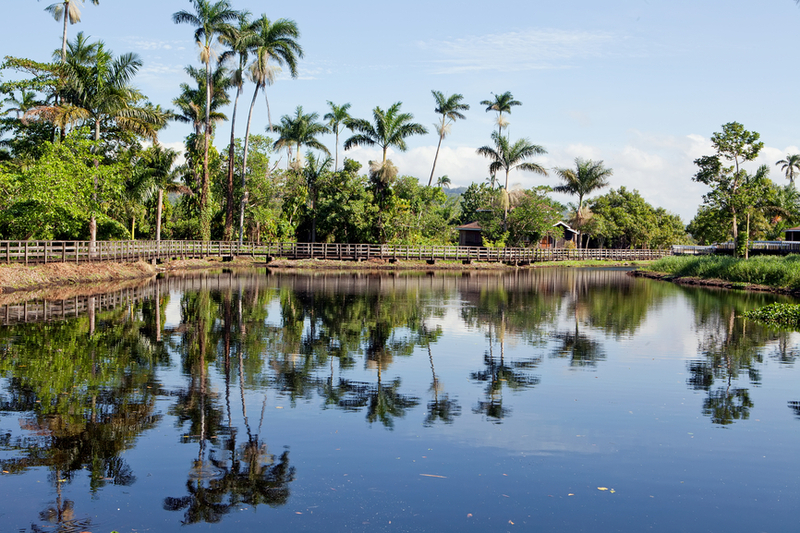 The sunny Islands of this region are ideal for watching horseback ride and crocodile watching. The seven-mile beach is also located here; likewise you can sunbath here if you like its hot weather. There are three major International airports servicing major air routes all across the world. ▪The Norman Manley international airport in Kingston remains the largest and the most used airport in the country. The resort city of Montego Bay also has the Sir, Donald Sangster International airport from where you can access all other areas within the city. ▪By ship, the Port of Kingston is one of the busiest ports in Jamaica and the port also hosts some of the largest cruise ships traveling to the country. Port Rhodes and Reynolds Pier are also functional cruise ship destinations in Jamaica. ▪ moving around Jamaica is quite easy, and depending on the city you find yourself, there are lots of options you can consider. Car hire rental services abound everywhere and you can even get one right from the international airport. Jamaica is a popular tourist destination, therefore you can find buses and tour trains taking tens and hundreds of people everywhere – you may have to subscribe some of these before embarking on any trip. If you prefer to have some social atmosphere around, you should consider staying in one of the fabulous hotels and resorts located in different regions of Jamaica. Jamaica is filled in the midst of lots of modern and traditional accommodation; you may even go for chain-accommodation like Holiday Inn SunSpree resort in Montego Bay. Aside the marvelous hotels, you can even find smaller condos and single bed hostels where accommodations can be very cheap. Popular luxury Villas in Jamaica include; the Half-moon Royal, The Haystack villa, and Viviana villa. Tents and beach camps are also popular in Jamaica and these are often free of charge, especially when you are having a short stay in the country. Most rental accommodation in Jamaica are pet and kids-friendly therefore you can get the whole of your family and friends on board to the most wonderful carribean Island you can ever imagine. 6Y6N. Where is Jamaica located. Map.